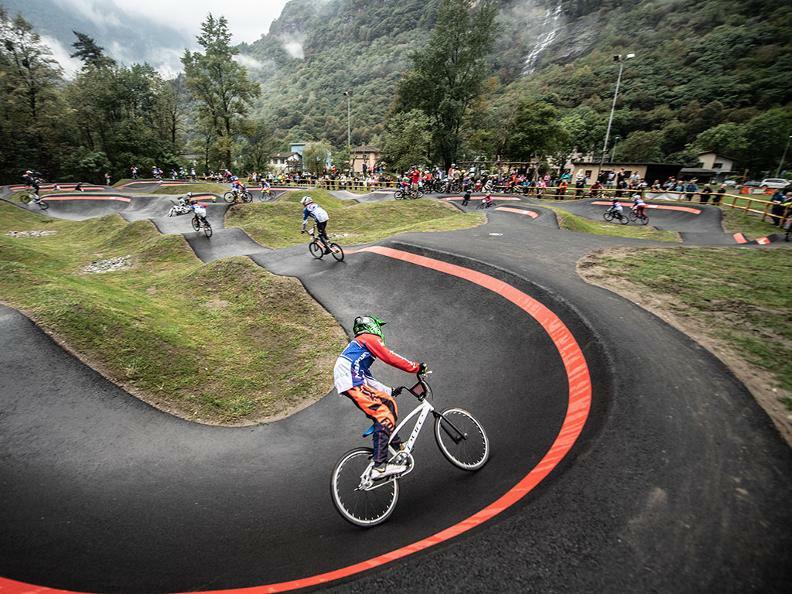 The first pumptrack in the Sopraceneri! Immersed in the green Vallemaggia, the circuit is suitable for all, with plenty of fun guaranteed. The many bumps, compressions and parabolic curves mean that going faster is all about pushing your body. 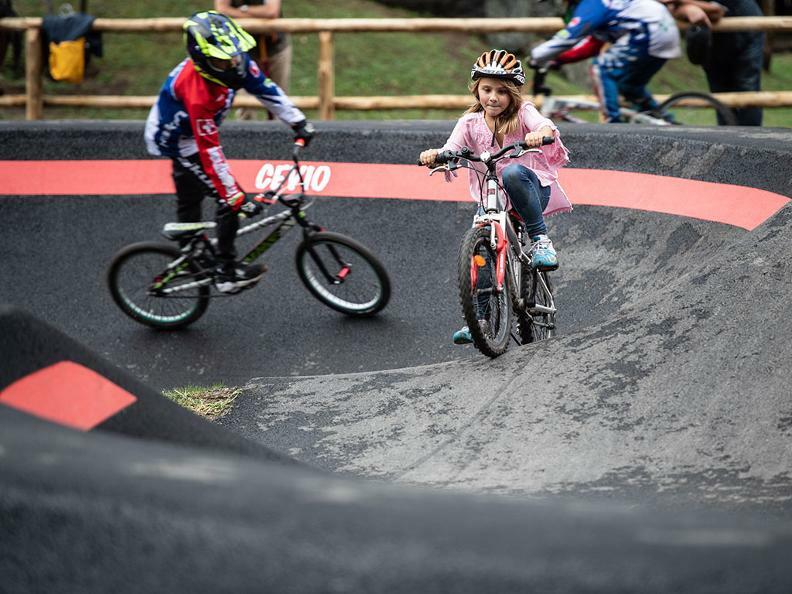 The Cevio pumptrack is made from asphalt, with a main track that is 260 m long and 2 m wide and a second track 45 m long and 1.5 m wide, suitable for children and beginners. The track's convenient location – close to schools, a playground, fitness trail and a small football pitch – makes it the ideal spot for the whole family to meet. Enthusiasts of the sport will fall under its spell during quiet periods, when it is perfect for an intensive work. One of a kind, this track is the first in the Sopraceneri, wanted and financed by the Municipality of Cevio and designed by Velosolution in partnership with Ticinofreeride to offer young athletes a place where they can improve their technique, coordination, balance and strength away from any traffic and in complete safety.